By summer 1943, Germany had occupied Denmark for more than three years. While there had been minimal resistance to the Germans during the first years of the occupation, Allied victories emboldened many Danes; labor strikes and acts of sabotage now strained relations with Germany. The Danish government resigned on August 28, 1943, and the following night, the German military commander declared martial law. On September 15, 1943, SS General Werner Best, the German civilian administrator in Denmark, had secured a proposal from Adolf Hitler to deport the Danish Jews. Best, however had second thoughts about the political consequences of the deportations, and he informed Georg Ferdinand Duckwitz, a German naval attaché, of the impending deportation operation. Before the final order for deportation came to Copenhagen on September 28, Duckwitz, along with other German officials, warned non-Jewish Danes of the plan. In turn, these Danes alerted the local Jewish community. Resistance workers and sympathizers helped Jews move into hiding places throughout the country and from there to the coast; fishermen then ferried them to neutral Sweden. The rescue operation expanded to include participation by the Danish police and the government. Over a period of about a month in October 1943, some 7,200 Jews and 700 of their non-Jewish relatives traveled to safety in Sweden, which accepted the Danish refugees. 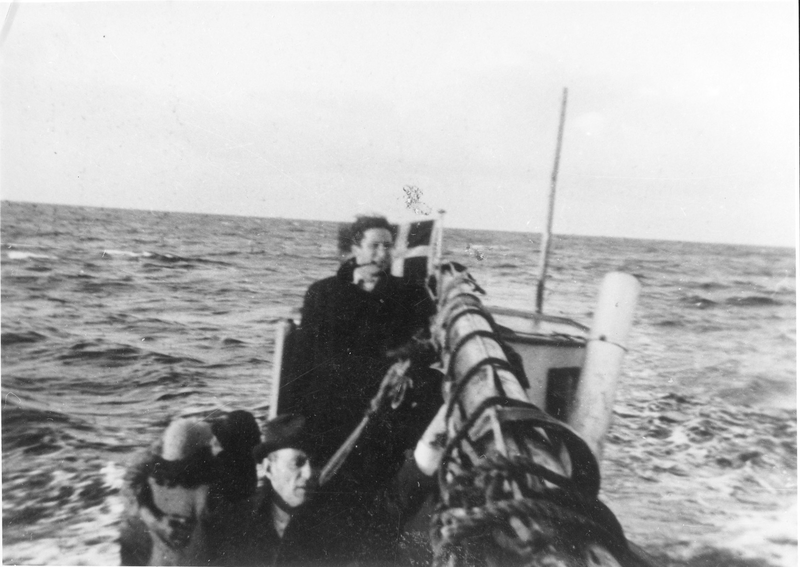 October 3-8, 1943 News reports about the rescue of Danish Jews. October 4, 1943 - November 15, 1943 Editorials, opinion pieces, letters-to-the-editor, and political cartoons regarding the rescue of Danish Jews. October 25, 1943 - November 15, 1943 News articles, editorials, opinion pieces, letters-to-the-editor, and political cartoons citing the Danish rescue in an effort to pressure Congress and the President to develop an American rescue plan for Jews in Europe and to open Palestine to immigration. Goldbeger, Leo, ed. The Rescue of the Danish Jews: Moral Courage Under Stress. New York: New York University Press, 1987. Haestrup, Jorgen. Secret Alliance: A Study of the Danish Resistance Movement. New York: New York University Press, 1977. Hong, Nathaniel. Sparks of Resistance: The Illegal Press in German-Occupied Denmark, April 1940–August 1943. Odense: Odense University Press, 1996. Levine, Ellen. Darkness over Denmark: The Danish Resistance and the Rescue of the Jews. New York: Scholastic, 2001. Loeffler, Martha, Knud Dyby, and John Mark Nielsen. Boats in the Night: Knud Dyby’s Involvement in the Rescue of the Danish Jews and the Danish Resistance. Blair, NE: Lur Publications, Danish Immigrant Archive, Dana College, 2000. Yahil, Leni. The Rescue of Danish Jewry. Philadelphia: Jewish Publication Society, 1969.